After rising all the way from a junior livestock salesman at Elders Murray Bridge in 1988 to the role of Elders’ national livestock manager in 2008, a role he has held for the past 10 years, Chris Howie says the time has come to go in search of new challenges. Mr Howie told Beef Central this morning that after a decade as Elders’ national livestock manager, and with Elders now in a position of strength after a challenging period a few years ago, he feels the time is right to step out and try something new. “My health is good, I have made this decision myself for all the right reasons,” he said. Mr Howie said he has made no firm plans yet on what his next role will be: “It is a bit like when you finish playing footy, I am going to have a spell and have a few weeks off, and then see what is around the place”. Mr Howie said he was incredibly proud of the ‘tight knit crew’ of operational livestock, wool and merchandise staff and the loyal clients that stuck with the 179-year old company during its recent period of turmoil before a management led restructure produced a successful turnaround. “I spoke to a lot of clients and they told me, if you go back in 1965 or 1967 when the drought was on, the only company stood by us when everyone else wanted to wrap us up was Elders. Mr Howie was behind the development of Elders’ successful trainee program six years ago (see this earlier Beef Central article from January) and said leaving the program behind was a hard part of his decision to leave, but was comfortable knowing there were excellent people running it. Mr Howie started with Elders in 1988 at Murray Bridge and spent 11 years as a remote resident representative in Wilmington and Eudunda SA, before moving to branches in New South Wales, and then returning to management positions in Elders HQ in South Australia. Highlights from his career included learning old fashioned agency work from “real tie wearing agents and buyers” doing everrything from selling livestock and insurance to merchandise, and helping to save the company in its darkest hours with staff who stuck by did the hard yards and clients who refused to leave because Elders had helped them when times were tough. “To quote Peter Cox ‘would you be an agent if you had your time again?’ – 300 percent I would and what’s more probably would have done it for less”. 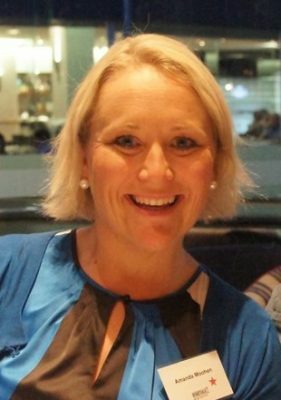 The Australian Agricultural Co has appointed Amanda Moohen to a new role of regional manager – Intensive, where she will be responsible for the company’s Goonoo feedlot neat Comet in Central Queensland, and Aronui feedlot near Bell on the Darling Downs. Both feedlots are devoted to production of longfed Wagyu cattle under AA Co’s supply chains. Ms Moorhen has spent the past ten years at Camm Agriculture’s Wonga Plains feedlot near Dalby, including the past 18 months as feedlot manager. She studied agricultural science at USQ, majoring in lotfeeding, and worked with NH Foods for a period, before joining Wonga Plains in an admin role and working her way through the ranks. 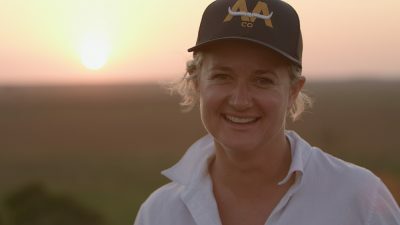 She was one of the inaugural intake of proteges in the Beef 2015 Graeme Acton Connections mentoring program, and was a founder of the successful Women of Lot Feeding (WoLF) network. Ms Moorhen starts in her new role with AA Co next month. The chief executive officer of Nuffield International Jim Geltch has received the 2018 Rabobank Leadership Award, recognising the “fundamentally important” role he has played developing upcoming leadership in the Australian and New Zealand food, beverage and agribusiness sectors. 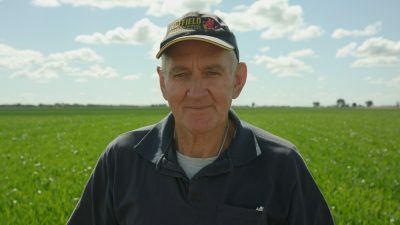 Mr Geltch, who was appointed inaugural CEO of Nuffield International in 2016 following more than a decade leading the agricultural capacity-building program’s Australian operations, was announced as recipient of this year’s award at the annual Rabobank Leadership Dinner in Sydney last night. “Jim is one of the great unsung heroes of the sector, whose enormous contribution to agriculture and the food and agribusiness industries is truly deserving of recognition. Not only is he an extremely accomplished leader in his own right, he has had a huge impact on the sector and done great good by fostering and developing leadership in others,” Rabobank Australia & New Zealand Group managing director Peter Knoblanche said. AACo chief operating officer Anna Speer was named the 2018 Rabobank Emerging Leader award, recognising developing leaders in the sector. Mr Knoblanche said Ms Speer was a dynamic leader, with a strong track record at the helm of one of agriculture’s most disruptive marketplaces, AuctionsPlus, and now poised for further leadership growth and success at AACo, Australia’s largest beef producer. “At 36 years of age, Anna has already well and truly made her mark not only in the livestock industry but the wider agribusiness sector, as an early adopter of technology,” Mr Knoblanche said. “All in just eight years,” he added. The Department of Agriculture and Water Resources has appointed Ian Thompson as Australia’s inaugural chief environmental biosecurity officer. The Federal Government announced the establishment of the role within the Department of Agriculture and Water Resources in June. The key responsibilities include enhancing understanding and oversight of environmental biosecurity risks; performing a national policy, engagement and leadership role; ensuring that Australia’s environmental and community biosecurity risks are better defined and prioritised; and improving the maturity of Australia’s environmental biosecurity preparedness, surveillance and response capacity. Secretary of the department, Daryl Quinlivan, said Mr Thompson had extensive experience and understanding in the subject area, and had strong networks and relationships within the environment and natural resources management community. The CEBO would be the primary representative and advisor to the Australian Government on all matters relating to Australia’s environmental biosecurity risk, Mr Quinlivan said. Mr Thompson was previously the first assistant secretary of the Sustainable Agriculture, Forestry and Fisheries Division within the department, which included responsibility for the National Landcare Program, along with community and Indigenous engagement. A dedicated office will be established to support the CEBO and to oversee the delivery of an $825,000 a year project fund to drive investment in building environmental biosecurity capability and capacity. Mr Thompson will work to strengthen engagement with community and environmental groups, including on their role in biosecurity and how they can contribute to the national biosecurity system. His first public appearance in the new role came at the Environmental Biosecurity Roundtable held in Brisbane this week. The Southern Australia Meat Research Council recently appointed new regional chairs for its Northern NSW and Southern NSW regional committees. 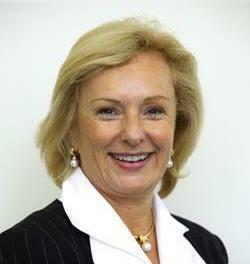 Lu Hogan has been appointed regional chair for Northern NSW. Lu and her husband manage a farm in the New England area. Prior to this she managed a family farm in the NSW Riverina and managed and developed research and extension programs nationally. David Watt, a sheep and mixed farming producer from Trundle NSW, has been appointed regional chair of Southern NSW. SAMRC chair, Angus Hobson also announced the reappointment of Jenny O’Sullivan (Gippsland & Tasmania), Tim Leeming (Western Victoria) and Angus Whyte (Western NSW and SW QLD) as regional chairs. While announcing the appointees, Mr Hobson paid tribute to outgoing chairs, Tom Amey (Northern NSW) and Andrew Rice (Southern NSW). He said the latest appointments followed a strong commitment to building industry and organisational capability and follow an extensive selection and appointment process. The Producer Committees are paramount to the success of SAMRC and the setting of RD&E priorities. Australian production animal scientist Dr Dominique van der Saag is one of three worldwide recipients of research grants under Bayer’s Care4Cattle program, aimed at innovation in advancing the well-being of cattle. Bayer launched its global Care4Cattle initiative in March, in collaboration with the World Farmers’ Organisation. The aim of the initiative was to recognise and support innovative-thinking livestock professionals who have created new ways of advancing beef and dairy cattle well-being on farm. The three chosen projects will jointly receive the €30,000 (about A$49,000) Care4Cattle grant funding. The initiative received more than 100 entries from across 37 countries. 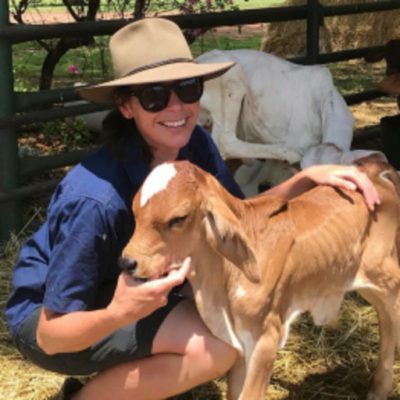 Dr van der Saag, pictured, from the University of Sydney, was selected for her research into the ways in which calves could self-administer analgesia after standard husbandry procedures. New South Wales Farmers has appointed Pete Arkle as the association’s new chief executive officer. Mr Arkle will join NSWF next month following 12 years with agribusiness Syngenta in sustainable agriculture, corporate and public affairs. He previously worked in policy roles for the Department of Agriculture and the National Farmers Federation. “With agriculture a strong focus at a state and federal level, and elections looming in the first half of 2019, the need for a strong and effective voice for farmers in NSW is more important than ever,” Mr Arkle said. Mr Arkle starts work on 12 November. Year 12 student at Tully High School in North Queensland, Claire Lowe, is Agribusiness Australia’s education scholarship winner for 2018. Claire beat an impressive field of candidates to take out the annual scholarship, now in its sixth year. The $3000 scholarship is in line with Agribusiness Australia’s priority to attract students into the agribusiness sector and ensure it continues to be a major contributor to the Australian economy. This year’s winner was announced by Mick Hay, AA boardmember and chair of the Queensland State Council at the body’s annual general meeting in Brisbane. Entrants were judged on their academic achievements over the last two years, their interest in degree training in agriculture, their voluntary and leadership activities as well as their career aspirations for the future. Finalists for the 2018 scholarship were Amy Mrck from Stanthorpe High School and Chelsea Davison from Dalby High School. As this year’s winner, Claire will receive $1000 per year for three years to support her tertiary studies in agriculture and additional work experience opportunities with a member of Agribusiness Australia. OBE Organic managing director Dalene Wray has won the Food and Agriculture category of the national Advance Awards for 2018. The Advance Awards recognise the outstanding contribution of Australians on the world stage. Earlier this year Dalene received a chief executive women – Austrade scholarship to study disruptive innovation at Harvard Business School in July 2018. Collectively the awards recognise the innovative work Dalene has been driving, which in turn builds on OBE Organic’s pioneering heritage as Australia’s oldest organic beef marketing company established to benefit family farmers. OBE Organic was established by farming families more than 20 years ago to create Australia’s first organic beef export supply chain. The company is based in Brisbane and sources organic cattle from properties in the Lake Eyre Basin. Meat & Livestock Australia chair Dr Michele Allan is one of five new directors appointed to the board of Wine Australia by agriculture minister David Littleproud. The board will lead the industry with investments in research and development including the $50 million Export and Regional Wine Support Package. In addition to chairing the MLA board, Dr Allan chairs Apple & Pear Australia and is a non-executive director of Grain Growers and Innovation and Science Australia; and is Chancellor (board), at Charles Sturt University.